Fresh wholemeal flour tastes better and can be processed more easily. We invite you to reinvent “Vollkorn” together with Meisterbäcker Pablo. 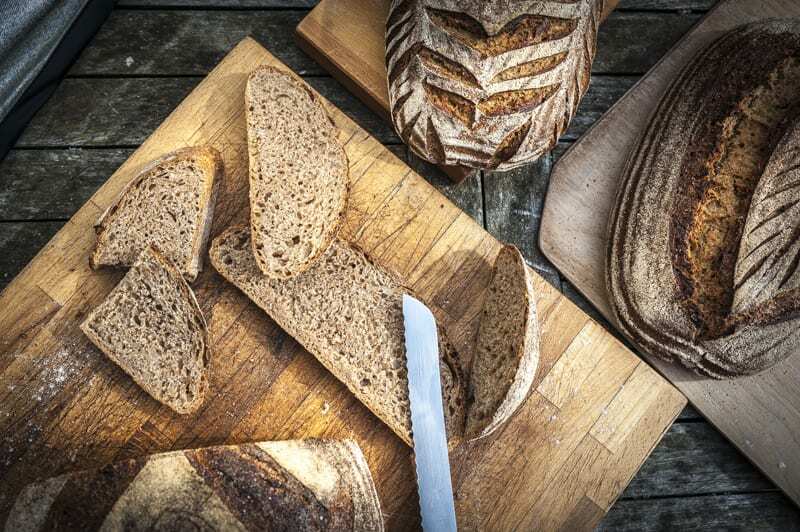 We show you that nothing is impossible: light and soft whole-grain buttery brioche, airy light whole-grain ciabatta and many more amazingly good wholegrain treats. The necessary techniques and background knowledge will taught Pablo in his relaxed and easy way so that you can start a new chapter of “baking with wholegrain” after this course. 100% natural dough stabilization by sculping, autolysis etc. The course is 1.5 days long. Preparation of the bake-day. We grind the flour needed fresh, feed the sourdoughs, prepare the pasta for next days lunch and mix the brioche and ciabatta dough. Processing and baking the wholegrain ciabatta, brioche and burger buns. Mixing, shaping and baking the free standing 100% rye bread and the different styles of German Mischbrot. I agree to the Terms & Conditions of this class.